Christmas can be a really romantic time of year, especially for this cute couple! A lovely Christmas card for your partner or for a sweet couple you know. 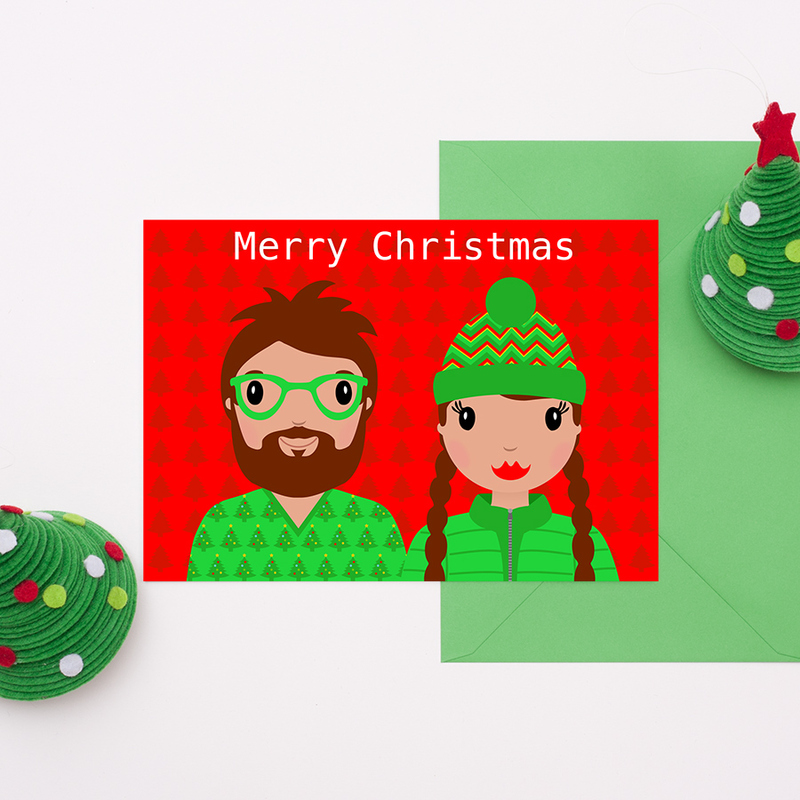 The design features a cool couple; he is wearing his favourite Christmas jumper and she is wearing a Christmassy woolly hat. They are standing under a piece of mistletoe with the text ‘Merry Kiss-mas’. There is another version of this card, with the text ‘Merry Christmas’ and no mistletoe, so please select which you would like. Be the first to review “Merry Kiss-mas Card” Click here to cancel reply.